The great 10K race is heading back to Caerphilly – are you ready? The Bryn Meadows Caerphilly 10K is set to return to Caerphilly Town Centre for the sixth consecutive year on Sunday 19th May 2019. This will be run alongside the Caerphilly 2k race, which will be held at Bryn Meadows itself.. This annual event is fast becoming a community favourite, with 2500 runners of all abilities descending on Caerphilly from across the country to enjoy the event. The run has grown in popularity every year and organisers are hoping that the 2019 event will be even bigger and better. The course record previously set by Owain Jones (31 minutes and 17 seconds) was broken last year by Matthew Clowes with an amazing time of 30 minutes and 33 seconds! Many elite and competitive entrants are out to break that record in 2019. So, even if you don’t feel like racing, why not head along to support these fantastic runners? The event is organised by Caerphilly County Borough Council, sponsored by Bryn MeadowsGolf, Hotel and Spa and is supported by Welsh Athletics, Run Wales and Sport Wales. With runners of all abilities joining, why not simply visit http://your.caerphilly.gov.uk/10k to book a place on the race today? The Old Library in Caerphilly invites you to join them for another one of their popular new Open Mic Nights this January! Please see here for the information on the January Open Mic Night! Then, why not head to The Dog House Grooming Salon and find out how you can make your furry little one look super cute for a super price? Then, click here to simply click here for to find out more about their fantastic offers or to follow their Facebook page please go here. Experience birds of prey up close and personal! Please click here, if you’re looking for some great local places to eat and visit! Velothon Wales will return to the roads of South Wales on Sunday 8th July 2018. The event will once again welcome up to 15,000 recreational cyclists and charity fundraisers, as well as some of the world’s best cyclists. Whether you want to take part or cheer along, this is fantastic event with the beautiful backdrop of Caerphilly is an exciting date in the Caerphilly event calendar! The 2018 event will see a host of exciting changes, including enhanced event experience, a new celebratory food and drink zone at the finish and race pack postage included – meaning athletes no longer have to arrive a day early to pick up race essentials. Athletes no longer have to arrive a day early to pick up race essentials. Keen riders will once again take on the fearsome climbs up the Tumble and Caerphilly Mountain on the VELOTHON Wales 140km course. But budding cyclists can now get a flavour of the event over a pair of less challenging routes. A 125km route will offer cyclists the full experience, but the with notorious category two Tumble hill climb bypassed – significantly reducing climbing. A point-to-point 60km route will start in the picturesque town of Usk, who decorated the streets with up-cycled bikes last year, before bypassing the Tumble and heading down through Pontypool and Newbridge. Riders will then tackle the only challenging climb of the course up Caerphilly Mountain before a sprint finish through the heart of Cardiff city centre. Disruption will be minimised as both shorter routes will take place along the same closed roads as those used for the 140km race. A limited number of cyclists taking part in the 60km route will be able to purchase a return coach transfer for £5, to get them back to their parked cars in Usk whilst their bikes are stored in a free, secure bike park in Cardiff. Riders can secure their place on the start-line for the 125km route for £62 while the 60km route is priced at only £45. Entries will be limited to 1500 in the 125 and 1000 in the 60, so cyclists are encouraged to register now at www.velothon.com/wales. A limited number of discounted early bird entries for the 140km route also remain, but are expected to sell out soon. We want VELOTHON Wales to appeal to everyone, whatever their goal or level of fitness. VELOTHON 125KM offers a great day out on the bike – with unrivaled crowd support creating a carnival atmosphere along traffic-free roads. The notorious Tumble hill climb that features on the 140KM route is bypassed, leaving climbing significantly reduced. Cyclists will leave Cardiff to the east, heading through Newport and Usk before turning south towards Pontypool and Newbridge on the way to Caerphilly for the only significant climb up the stunning Caerphilly Mountain. The course ends with a fast descent towards the finish line in Cardiff city-centre and a grandstand finish along the iconic King Edward VII Avenue – finish line to the 2017 Tour of Britain. What says summer more than the fabulous Machen Agricultural Show? A wonderful event celebrating rural life in South Wales! In addition to its Horse &Pony Classes the show hosts several exhibitor sections, including rabbits, poultry, goats, dogs, homecraft, horticulture and vintage engines. It is a great showcase for local producers and rural life and 2018 is set to be a great day out for all the family. Tickets will be available to purchase with cash on the gate. Family tickets (two adults, two children) are £15, adults £5 and children (under 14) and OAPs are £3. Leave the M4 at Junction 28 and follow the A468 towards Machen.The showground is on the left hand side as you approach Machen village. Leave M4 at Junction 32. Follow signs to Caerphilly, then Newport A468. Showground is on the right, just as you leave Machen village. Postcode: The showground itself doesn’t have a specific postcode. For the closest postcode to the showground, please use CF83 8SW. The show will be clearly signposted. 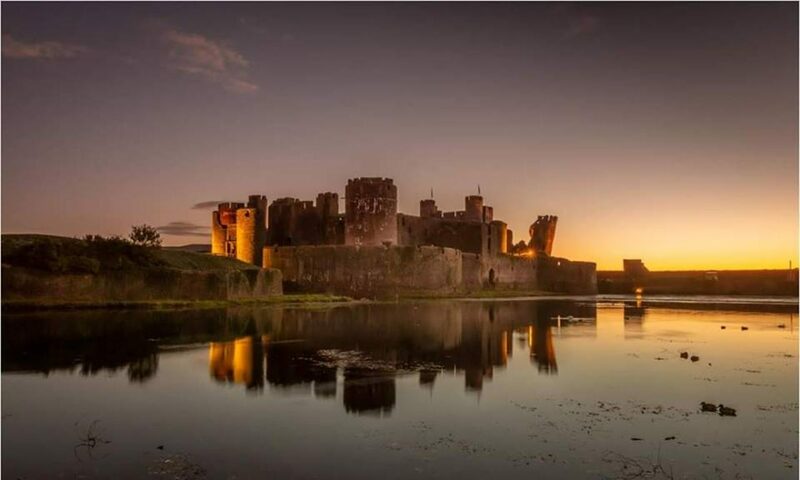 Caerphilly Castle and Menter Caerffili invite you to join them for their 2018 Ffiliffest this June! A fantastic way to celebrate the Welsh language in the beautiful setting of Wales’ largest castle. This exciting Welsh language festival of arts, language and music, is FREE to attend! Activities include live music, entertainment, food and drink, a video gaming area and a new beach area. There will be Dawnsio Gwerin, arts and crafts and sports Urdd activities too. Entertainment will include folk dancing, community performances and brilliant live performances from Martyn Geraint, Allan yn y Fan, Y Sybs, Ragsy, Nantgarw, Mabli Tudur and John Nicholas. The entertainment will begin from 11am to 1pm, with live music from 2pm to 5pm. Ffiliffest has also been extended this year and will include live music in the evening from 7pm. Please go here for more details. There will be free entry to Caerphilly Castle for the festival. So, do you think you’re strong enough? Why not head to this event and prove it? -Rising bar, first 3 lifts 10kg jumps then 5kg once only a few lifters left 2.5kg can be chosen. -Once opening lift is made you chose when to cone in next, in the event of a tie most confident lifter takes the extra point. -Staggered run in with each bag. 15m pick up place on matt run back to next object. -60 seconds each timed event. -2 second penalty for false start or sliding. 24hour weigh in times and places will be confirmed nearer the time. £20 to compete cut off date Sunday April 29th. In order to entre, please follow the following advice from their official Facebook page. Please send via friends and family. Once payment has cleared your name will be added to the competitor list. Love a great night out? Then, don’t miss out on the early bird tickets to this great event in Match. Click here for more information! The Bryn Meadows Caerphilly 2k is set to return on Sunday 20th May along with the Bryn Meadows Caerphilly 10k. With 700 runners of all abilities expected to descend on Caerphilly from across the country to enjoy the event, organisers are hoping that this year’s event will be bigger and better. If you fancy having a great night and helping support an important cause at the same, then check this event out in Machen! Musicians Against Homelessness is an initiative set up by Emma Rule in 2016 with a twofold aim: to raise money for the homeless and to help young musicians to get gigs and exposure for their music. This grass roots rock music movement has already raised more than £100,000 for homelessness charities since it started. Why not head along and help them raise some moire? With some great bands and musicians there, this is going to be a fantastic night for everyone! Children must leave by 8pm. Suggested donation of £3 on the door.